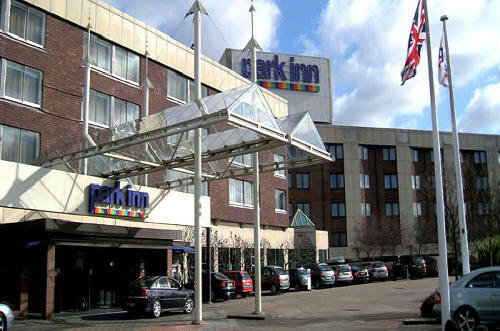 The four star Park Inn Hotel & Conference Centre London Heathrow is located just minutes from Heathrow Airport. Boasting 895 stylish rooms, a Restaurant and Cocktail Bar, Gym and Swimming Pool it makes an ideal place to relax before you fly. Ample on-site parking with regular connections to Heathrow via the Hoppa Bus. Ideal for Terminal 5. Voted best airport hotel for 7 years running the Radison Blu Edwardian is all about elegance and sophistication. The atmospheric Bijou Bar and magnificent Oceanic Bar and Restaurant provide the perfect place to celebrate the start of your holiday. The Comfort Hotel Heathrow airport with the Seasons Brasserie and the on-site gym is well equipped for a budget hotel with budget prices. At only 3 miles from the airport and serviced by the Hoppa bus you will be in the airport in no time. Cars are parked off-site. 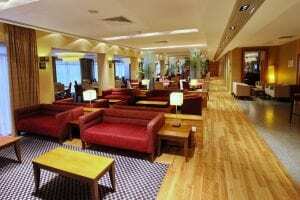 The 5 star Sofitel London Heathrow not only features sumptuous luxury bedrooms, award winning restaurants and a wonderful SPA it is also connected directly to T5, walk directly from your room to check in!. Parking is undercover on-site, secure parking is also available. Just 3 miles from Terminal 5 the Thistle Hotel provides on-site parking and a its own terminal 5 driverless pod station. Dine in the First Edition restaurant and watch the world pass by outside. Connected directly to terminal 4 the Hilton Heathrow is a fantastic choice for those early morning flights. With a pool, gym, great restaurants and on-site parking this is Hilton Hotels at their best. 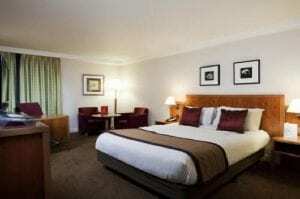 At just 2.2 miles from Heathrow and located just off the M4 at J4 the Holiday Inn is well connected. With a gym and the Rotisserie restaurant serving traditional and more exotic food to suit every taste. Parking is on site. A great budget hotel from the well known Premier Inn range. 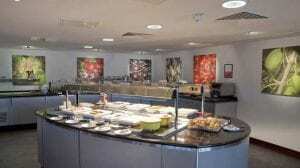 The on-site restaurant offers fantastic value for all the family. Parking is available overnight, but not for long stay. The closest hotel to T1 and T3 and with fantastic views of the runway the Renaissance offers a mix of 70’s chic and modern luxury. All rooms feature soundproof glass for a great nights sleep, after a relaxing meal in the Duo restaurant. Cars are transferred to a secure facility during your stay. A brand new Heathrow Hotel. The Heston Hyde, set in beautiful woodland is a fantastic place to relax into the start of your holiday away from the airport bustle. With a choice of restaurants and bars and with a Gym and Pool the hotel has something for everyone. Fresh warm cookies on arrival are a unique feature of the Doubletree by Hilton at Heathrow, and with newly refurbished soundproofed rooms featuring Sweet Dreams bedding they are not the only treat in store. Located just 3.5 miles from the airport with cars parked off-site for the duration of your break. 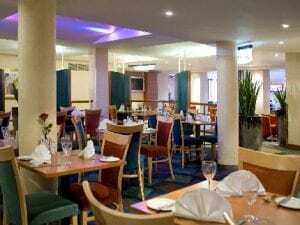 The Holiday Inn Express brand is a fantastic addition to Heathrow hotels, with an Italian themed restaurant and comfortable rooms all at great budget prices. Cars are parked off-site while you are away. Set in 13 acres of landscaped river view gardens it’s easy to forget you are only 1 mile from T5. Dine in the The Indian restaurant, Mr Todiwala’s Kitchen or The Gallery and then relax in ultra modern luxury rooms. Parking is on-site. Anyone for Tennis? Along with a fully equipped gym and swimming pool the Windsor Marriot hotel has flood lit tennis courts. Dine in a choice of restaurants before snuggling into Egyptian cotton bed linin. On site parking with airport transfers every 30 mins. 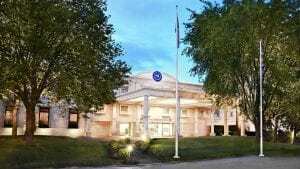 The 4-star Novotel London Heathrow Airport hotel with 178 rooms, the Elements Restaurant, fully equipped fitness center and pool makes a high class start to your trip. All rooms have internet access. Parking is on-site. Park at the easyHotel and enjoy a night before you fly on a budget. Rooms have en-suite facilities and a pay to use TV. There is no restaurant on site, but there are plenty of food choices within walking distance. 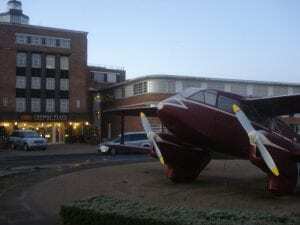 Located far enough from Heathrow to be away from the noise of planes but close enough for only a 15 Hoppa transfer, the Crowne Plaza is a fantastic choice. 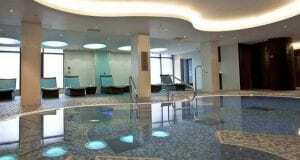 The pool and gym are no token and operate as a leisure facility in their own right. Great restaurants and rooms. Ample on-site parking. 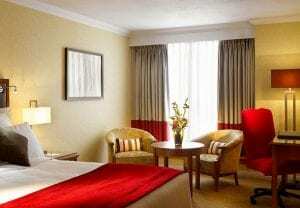 Gatwick’s newest on-airport hotel the Courtyard by Marriot is just an eight minute stroll from check in. Smart rooms, a great gym and lovely restaurants let you relax your way into your holiday. Cars are parked at a secure off-site location. 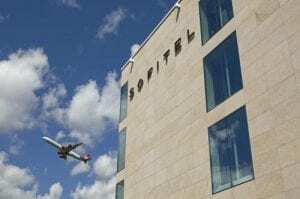 Connected directly to the North Terminal the four star Gatwick Sofitel is as close to check in as a hotel can be. Super stylish and super luxurious with three fantastic restaurants and two bars. Park at the hotel and let Maple Manor look after you car at their secure facility, returning it ready for your arrival back. Just off the M23 the easy to find The Sandman Signature is just 10 mins from Gatwick. The Modern Art restaurant serves contemporary bistro food, or just grab a snack in the Arts cafe bar. In the morning drive your car to the Gatwick long tern car park and catch one of the regular shuttle busses. Connected to the South Terminal the rooms at Hilton Gatwick offer luxury beds with Le Source toiletries and Plasma TVs. The buffet Garden restaurant has over 100 dishes for you to enjoy. Parking is at Gatwick long term with complementary shuttle busses provided by the hotel. 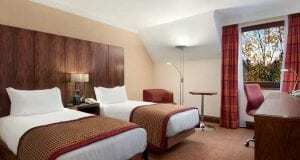 Located just four miles from Gatwick airport the grade II listed Cambridge offers 3 star facilities at affordable prices. With the on site restaurant providing breakfast and evening dinners to both travellers and locals. Cars are parked at the hotel with a 24hr shuttle bus service available. 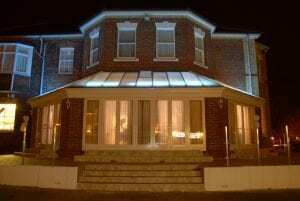 Set in picturesque gardens the Russ Hill offers fantastic budget accommodation near to Gatwick airport, with comfortable rooms and the Ruspers restaurant. In the morning park at Airparks where your car will be located until your return. Airparks provides 24hr shuttle busses. 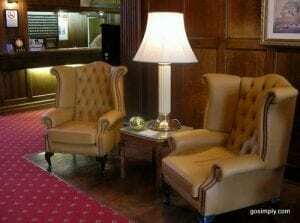 Un-spoilt gardens and wooded areas and 16th century charm great you as you arrive at the four star Copthorne Hotel. If time allows then their are a host of leisure facilities on offer, pool, gym, steam room, sauna, tennis, squash and even a spinning room. Cars are parked on site with 24hr airport transfers available. 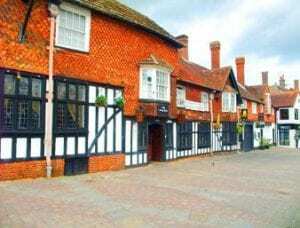 Located in Horley, just two miles from Gatwick airport the Menzies hotel offers 4 star luxury with a counterparty restaurant and traditional English pub. You park your car at Airparks before your departure and take the shuttle bus to the Airport. The Mediterranean starts early at the Europa hotel with the themed restaurant set around a fountained courtyard. Cars are parked on site with airport transfers taking around 20 minutes. 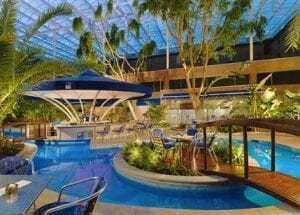 A restaurant, bar, shop and LivingWell leisure facilities will great you as you arrive at the Hilton Southampton, relax and unwind before your flight. Easy to find off the M3 your car will stay on site during your trip, trips to and fro the airport are by taxi. With the Junction restaurant and the Spirit health club you can relax and enjoy the start to your break at the Holiday Inn Southampton. Cars are stored at the airport with taxi transfers to the airport operating 24 hours a day. 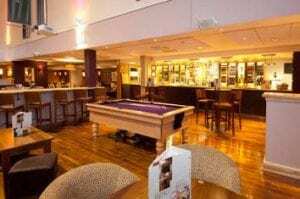 Offering on-site car parking, a free breakfast and discounted use of the neighboring Virgin Active leisure facility the Holiday Inn Express Southampton is a good value hotel with great facilities. Transfers to the airport are by taxi. 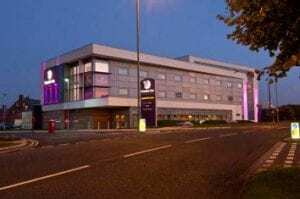 At only 250M from the airport the Premier Inn is an ideal place to stay before that early morning flight. Breakfast and dinner are served in the adjoining restaurant. Parking is at the long stay airport car park with inclusive bookings available. 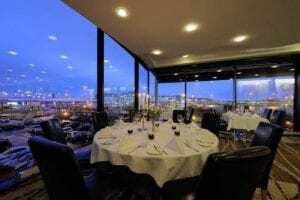 Enjoy a little bit of 4 star luxury at the Crown Plaza Liverpool airport, with comfortable rooms for a great nights sleep and some fantastic dining at Starways restaurant. If you have time then the adjoining David Lloyd heath club is yours to use. Parking is on site with taxi transfers costing around £4. Located very continently for Liverpool Airport the Holiday Inn Express offers great value and a comfortable nights sleep. Taxi transfers to the airport cost around £2.50 or book inclusive with parking at the airport long stay car park. You know the brand, you know what to expect, reasonable prices and a good standard of rooms and restaurant. Park your car at the hotel and a member of staff from Airparks will collect and park it off-site for you, returning it to the hotel on your return. Transfers to the airport are by taxi. If you find the stone baked pizza’s from Mason’s restaurant a little too irresistible then maybe a spell at the attached LivingWell express gym is on the cards. The Hilton adds a touch of class just 0.7 miles from the airport, with complimentary transfers included. 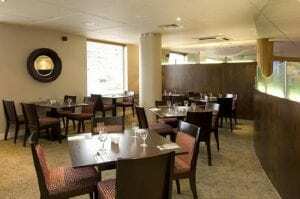 Why not arrive early and indulge in some Me Time at the Hilton Hotels spa, swimming pool and sauna and then round off the day with dinner in the Source Grill. 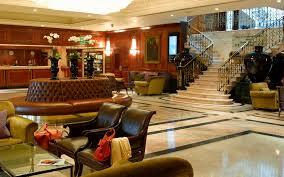 The luxury Hilton is located just 2 miles from the airport and has a free transfer bus running 24 hours. 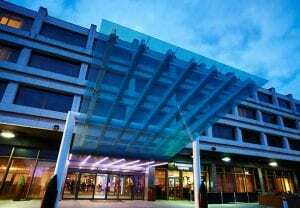 The contemporary Crowne Plaza hotel at Manchester airport combines relaxing luxury rooms and leisure facilities, including a swimming pool with fine oriental dinning in the Sampans Oriental restaurant. Cars are parked on site with transfers to the airport included. Spending the night before your holiday in an airport hotel does not mean you have to spend a load of cash. 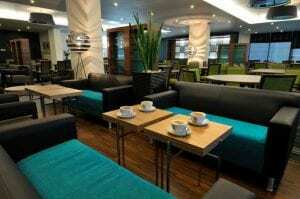 The Britannia Manchester airport offers fantastic value with good rooms and good food in the Palatine restaurant. At just 3 miles from the airport the transfer bus will have you there in no time in the morning. Your holiday will start in no time at the Holiday Inn Manchester airport, with it’s Club Motivation health and fitness suite, Terrace Restaurant serving classic dishes and free transfer to the airport in the morning. It’s luxury all the way at the Hallmark hotel Manchester airport, with it’s 20M swimming pool, sauna and steam room you can relax in style. Maybe a bite to eat in the gastronomic Brasserie restaurant before a goods nights sleep on your en-suite room. 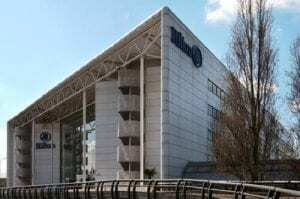 A Flagship hotel, the Radisson Blu Manchester Airport is the only Manchester Airport hotel connected directly to the terminal. Enjoy dinner at the Collage Restaurant before relaxing in your luxurious bedroom, and then when it’s time for your flight the elevated glass walkway connects you to all three terminals. 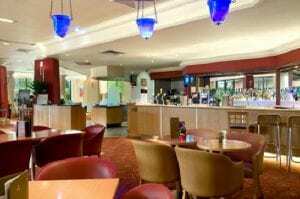 Tranquilly located with views across the Clyde, the well appointed Erskine Bridge hotel offers comfortable rooms, great dinning and full leisure facilities included an indoor pool. Cars are located on site during your stay with a shuttle bus running to the airport every 15mins. 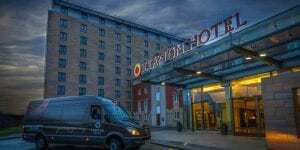 Located only 500M from Glasgow airport the Ramda Hotel offers 4 star luxury at affordable prices. Bagio’s restaurant servers a taste of Italy and is a great place to relax before your flight. Car are parked off-site with a shuttle bus to and from the secure parking. The well known Travelodge brand is a welcome addition to Glasgow Airport offering comfortable rooms at great prices, both breakfast and dinner are served at the hotel. In the morning drive your car to the secure off-site parking and get the shuttle bus to the airport. The 3 star Days Inn packs the welcome of a 5 star hotel with 3 star prices. With it’s own restaurant and parking it’s a great place to stop before your trip.